This fan has three variable wind speed and natural wind is more comfortable. 4 inch big fan blade, strong wind but not dazzling. The base is up 15 degrees, taking care of your posture. You will be cool in the summer with it. 3 mode speed regulation, you can adjust the speed if you need. 4 inch big fan blade, strong wind but not dazzling. The base is up 15 degrees, taking care of your posture. Backside LED soft night light, outdoor, bedroom applicable. 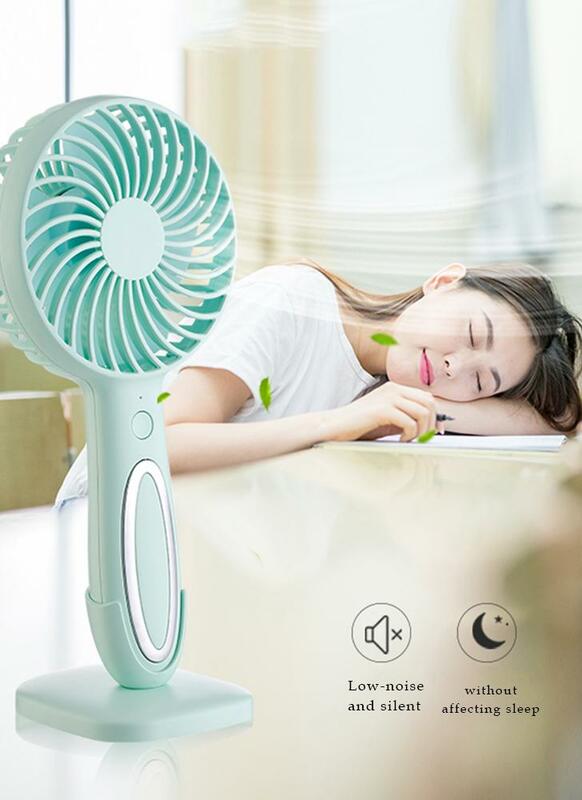 Buy green USB Portable Rechargeable LED Cooler Charging Mini Fan Cooling from Chicuu. Best affordable Other online store, cheap discounts are waiting for you.